Our full or half day trip from San Francisco to Sonoma and Napa Valley wineries will give you the great experience of true wine country in Napa Valley California. Taste Napa Valley wines at the vineyard from the beginning of Highway 29 in Napa to all the way to Yountville, Oakville, Rutherford, St.Helena, Calistoga. We can give you the best ride and guide to the best place in Napa Valley, so please calls us. Our classic Winery tour includes: Pick up at the hotel or ferry. Visiting 5-6 wineries Mondavi Winery, Domain Chandon or V Sattui Winery, Silver Stag Winery, Azul Winery, St Clair Brown Winery, Raymond winery. The wine tasting fee is a separate charge. Mondavi Winery: Robert Mondavi established his namesake winery in 1966 with a vision to create Napa Valley wines that would stand in the company of the world’s finest. V Sattui Winery: a Family-owned winery in the Napa Valley with award-winning wines, wine tasting, weddings, experiences, artisan deli, and picnic grounds. House wines are poured in a tasting room while gourmet takeout can be enjoyed on the grassy grounds. Grafin Napa Valley Wine Tours provides a variety of tour courses around the Bay area including, Napa Valley wine tours and tasting, lunch at an award-winning Bouchon restaurant in Yountville(star french bistro fare restaurant owned by chef Thomas Keller), San Francisco aquarium tour (Aquarium of the Bay at Pier 39) and the famous Golden Gate Park (Botanical Garden) tour, Yountville’s Ice Skating events tour and even visiting of The Culinary Institute of America at Napa Valley, Beringer Vineyard at St.Helena, Castello di Amorosa at Calistoga, Downtown Napa and many more. 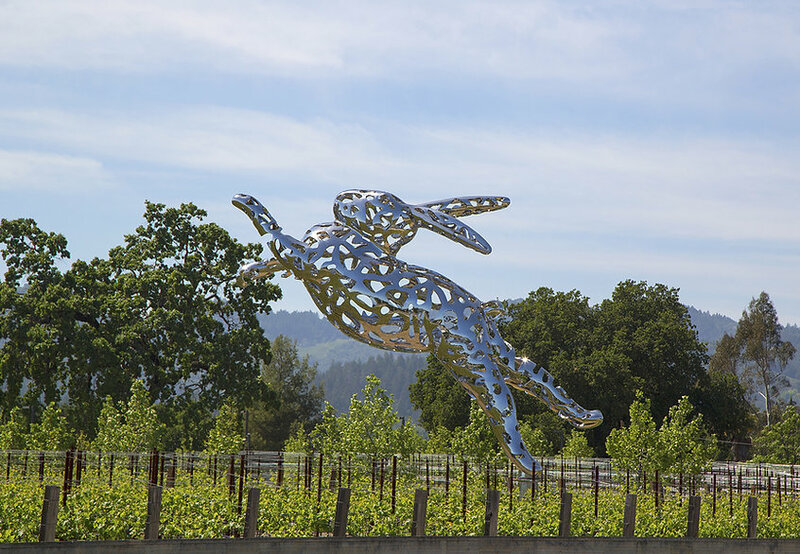 Silver Stag Winery sits on a prime piece of acreage in the heart of Napa Valley, just east of the town of Napa and about three miles from the Bay. Planted in plums back at the end of the nineteenth century, the soil is rich enough—and distinct enough—to have earned its place as Napa Valley’s 16th and newest AVA, Coombsville. Azul winery is a small boutique vineyard and one of our favorite tours. La Azul is a garage winery in the heart of the Uco Valley, Mendoza, República Argentina… Dreams of generations became true, we produce just a few of the best. St. Clair Brown Winery is an urban winery, nano-brewery, and culinary garden located in the city of Napa. We currently make about 100-200 cases of each wine, which is all sold directly from our winery. The portfolio includes Cabernet Sauvignon, Red Blend, Syrah, Merlot, Zinfandel, Rosé of Syrah, Chardonnay, Sauvignon Blanc, Pinot Grigio, and a sweet Muscat. Raymond Winery founded in 1970, is one of the Napa Valley’s pioneers and great estates. Arriving to Napa in 1933, the Raymond family became deeply connected to the valley’s winemaking origins. In 1970, they established a 90-acre estate in Rutherford that now comprises 300 acres in Rutherford, St. Helena and Jameson Canyon. Five generations of the Raymond family created a Napa icon, with an enduring reputation for elegant wines with a beautiful balance of finesse, power, and complexity. This entry was posted in wine tasting tour guide transportation and tagged Napa Valley wine tour transportation and ride service, Wine Tasting in Napa Winery by admin. Bookmark the permalink.